The Shaolin order dates to about 540 A.D., when an Indian Buddhist priest named Bodhidharma (Tamo in Chinese), traveled to China to see the Emperor. At that time, the Emperor had started local Buddhist monks translating Buddhist texts from Sanskrit to Chinese. The intent was to allow the general populace the ability to practice this religion. This was a noble project, but when the Emperor believed this to be his path to Nirvana, Tamo disagreed. Tamo's view on Buddhism was that you could not achieve your goal just through good actions performed by others in your name. At this point the Emperor and Tamo parted ways and Tamo traveled to the nearby Buddhist temple to meet with the monks who were translating these Buddhist texts. The temple had been built years before in the remains of a forest that had been cleared or burned down. At the time of the building of the temple, the emperor's gardeners had also planted new trees. Thus the temple was named "young (or new) forest", (Shaolin in Mandarin, Sil Lum in Cantonese). When Tamo arrived at the temple, he was refused admittance, probably being thought of as an upstart or foreign meddler by the head abbot (Fang Chang). Rejected by the monks, Tamo went to a nearby cave and meditated until the monks recognized his religious prowess and admitted him. Legend has it that he bored a hole through one side of the cave with his constant gaze; in fact, the accomplishment that earned his recognition is lost to history. When Tamo joined the monks, he observed that they were not in good physical condition. Most of their routine paralleled that of the Irish monks of the Middle Ages, who spent hours each day hunched over tables where they transcribed handwritten texts. 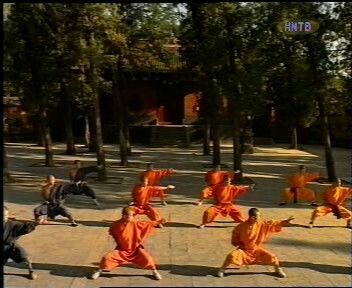 Consequently, the Shaolin monks lacked the physical and mental stamina needed to perform even the most basic of Buddhist meditation practices. Tamo countered this weakness by teaching them moving exercises, designed to both enhance chi flow and build strength. These sets, modified from Indian yogas (mainly hatha, and raja) were based on the movements of the 18 main animals in Indo-Chinese iconography (e.g., tiger, deer, leopard, cobra, snake, dragon, etc. ), were the beginnings of Shaolin Kung Fu. It is hard to say just when the exercises became "martial arts". The Shaolin temple was in a secluded area where bandits would have traveled and wild animals were an occasional problem, so the martial side of the temple probably started out to fulfill self-defense needs. After a while, these movements were codified into a system of self-defense. In fact, a Shaolin monk named Hui Neng, who lived from 638 to 713 AD, had early on become known as the real father of Ch'an Buddhism (Bodhidharma became known as its First Patriarch) because of his successful blending of Dhayana Buddhism with the already prevalent Taoist thought of the learned. Both were essentially paths to immediate enlightenment and total spiritual thought and it was not difficult to follow the two paths concurrently, since they did not cling to religious dogma and personalities. The Shaolin Temple(literally Young Forest Temple) is a Buddhist temple at Mount Songshan in Henan Province. The Temple was built by the Emperor Hsiao-Wen in AD 496, and the first abbot of Shaolin was Batuo, (also, Fotuo or Bhadra (the Chinese transposition of Buddha), an Indian dhyana master who came to China in AD 464 to spread Buddhist teachings. As time went on, this Buddhist sect became more and more distinct because of the martial arts being studied. This is not to say that Tamo "invented" martial arts. Martial arts had existed in China for centuries. But within confines of the temple, it was possible to develop and codify these martial arts into the new and different styles that would become distinctly Shaolin. One of the problems faced by many western historians is the supposed contraindication of Buddhist principles of non-violence coupled with Shaolin's legendary martial skills. In fact, the Shaolin practitioner is never an attacker, nor does he or she dispatch the most devastating defenses in any situation. 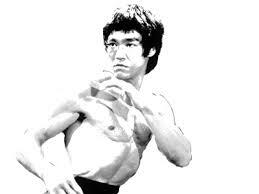 Rather, the study of kung fu leads to better understanding of violence, and consequently how to avoid conflict. Failing that, a Buddhist who refuses to accept an offering of violence (i.e., and attack) merely returns it to the sender. Initially, the kung fu expert may choose to parry an attack, but if an assailant is both skilled and determined to cause harm, a more definitive and concluding solution may be required, from a joint-lock hold to a knockout, to death. The more sophisticated and violent an assault, the more devastating the return of the attack to the attacker. Buddhists are not, therefore, hurting anyone; they merely refuse delivery of intended harm. The Shaolin philosophy is one that started from Buddhism and later adopted many Taoist principles to become a new sect. Thus even though a temple may have been Taoist or Buddhist at first, once it became Shaolin, it was a member of a new order, an amalgamation of the prevailing Chinese philosophies of the time. Other temples sprung from Henan. This happened because the original temple would suffer repeated attacks and periods of inactivity as the reigning Imperial and regional leaders feared the martial powers of the not-always unaligned monks. Refugee Shaolin practitioners would leave the temple to teach privately (in Pai) or at other Buddhist or Taoist temples. In rare cases, a new Shaolin Temple would be erected (Fukien, Kwangtung) or converted from a pre-existing temple (Wu-Tang, O Mei Shan). Politically and militarily involved monks (such as the legendary White Eyebrow and Hung Tze Kwan) would be perpetual sources of trouble for the generally temporally aloof monks. The Boxer rebellion in 1901 was the beginning of the end of the Shaolin temples. Prior to that, China had been occupied by Western and Japanese governments and business interests. The British had turned the Imperial family into an impotent puppet regime largely through the import and sales of opium and the general drug-devastation inflicted upon the poor population. This lead to the incursion of other European powers, including Russia, France and Holland, and later the Japanese and Americans. By the late 1800s, China was effectively divided into national zones, each controlled by one of the outside powers (similar to post World War II Berlin, on a hugely larger scale). The long standing animosities between China and Japan worsened, and extended to include all other "foreign devils" as well. Coupled with the now almost universal disdain by the Chinese for their Empress, a Nationalist movement with nation-wide grass-roots support was born. Among the front line soldiers of the new "order" were the legendary and near-legendary martial artists-many Shaolin-known as Boxers (remember how Bruce Lee, in his films depicting these times, refers to himself as a Chinese boxer...). Though their initial assaults on the military powers of the occupation governments were not entirely successful (many believed in Taoist magical spells that would make them impervious to gunfire), their temporary defeat would lead to a more modern reformation that included adopting modern military weapons and tactics.